4 x Model 3 motors, each driving a rear wheel. 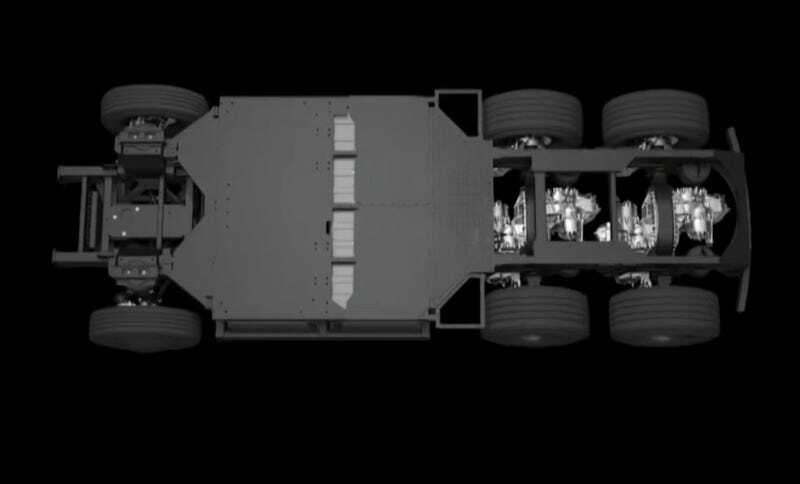 Axle-mounted, so they better have pretty good vibration tolerance. Also some detail on the battery pack and charging system.